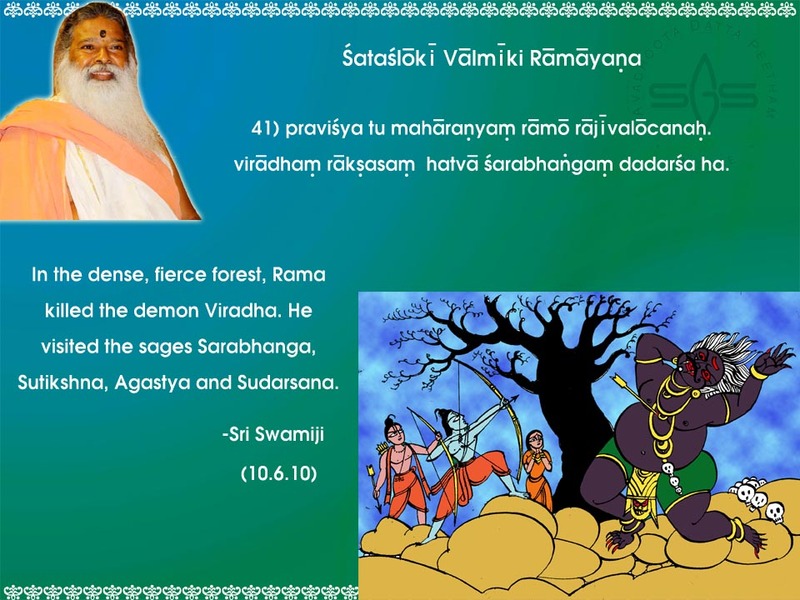 Jgd ! 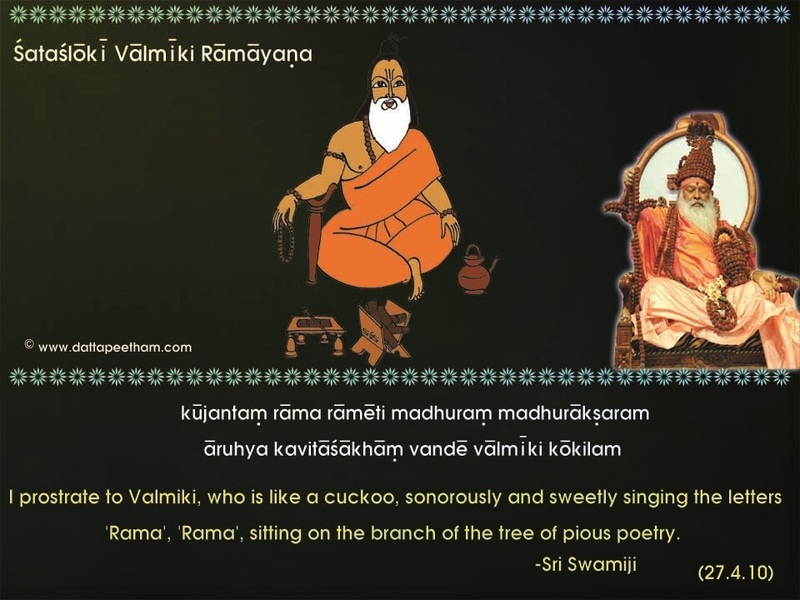 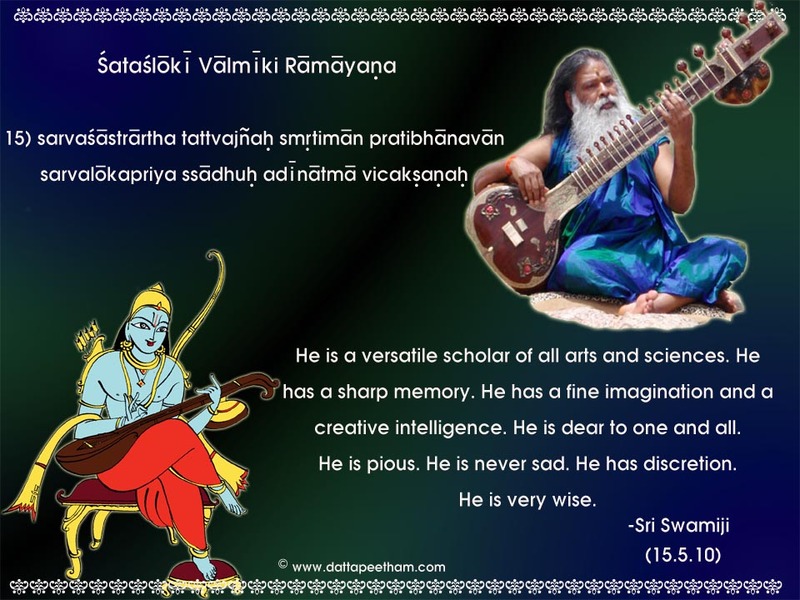 Appaji your divine voice in “Shatashloki Ramayana” makes us to listen continously.Worries Vanished by listenning to Ramayana. 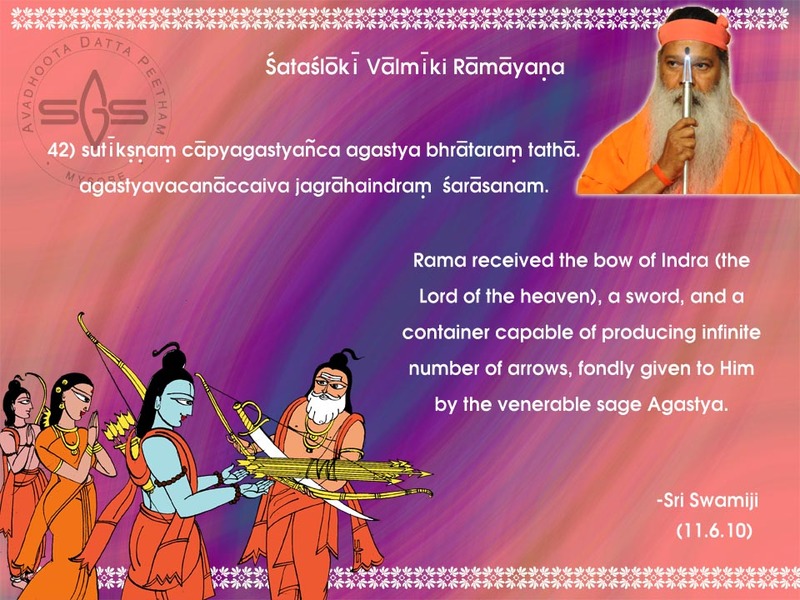 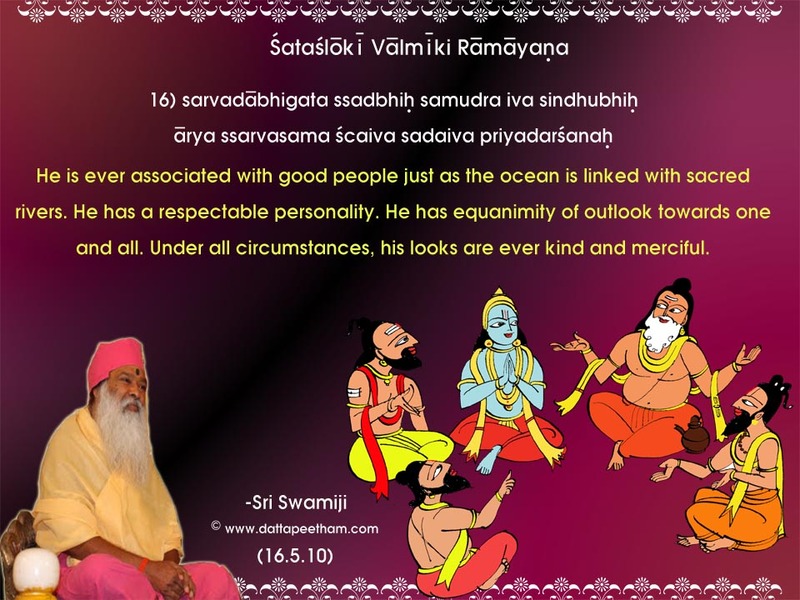 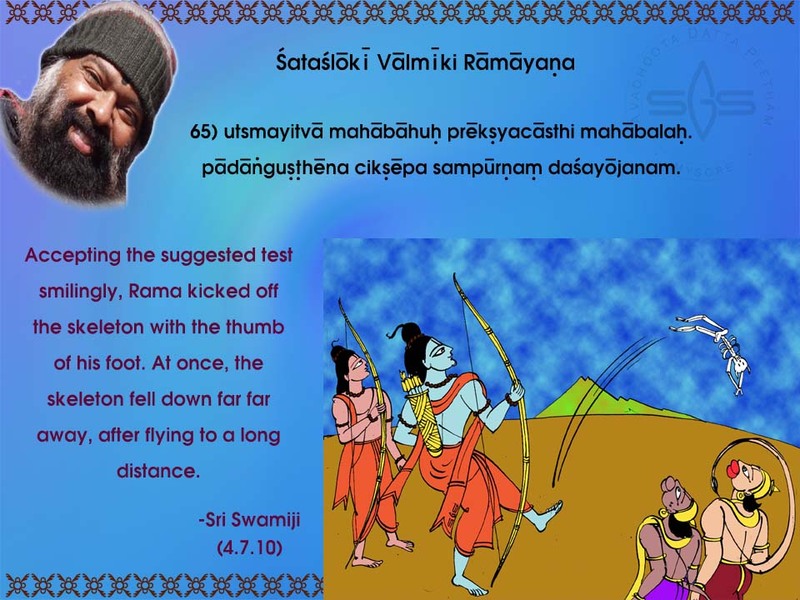 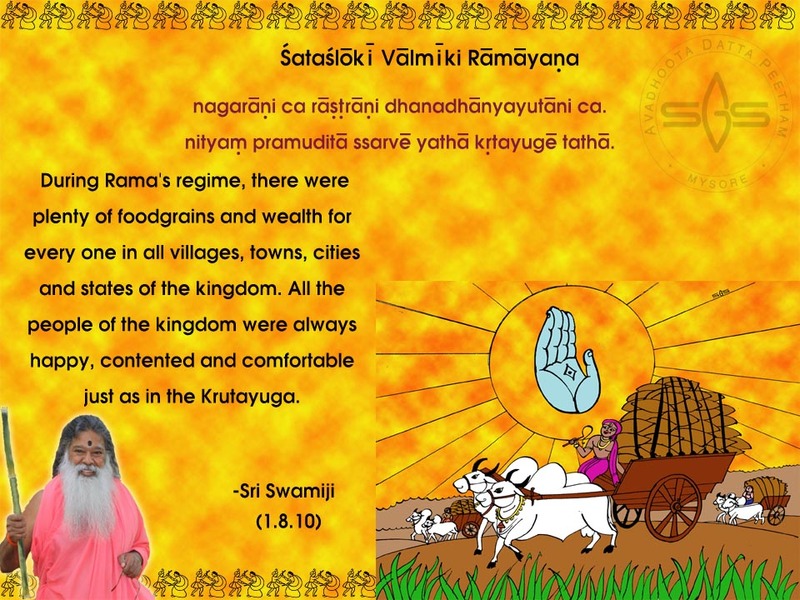 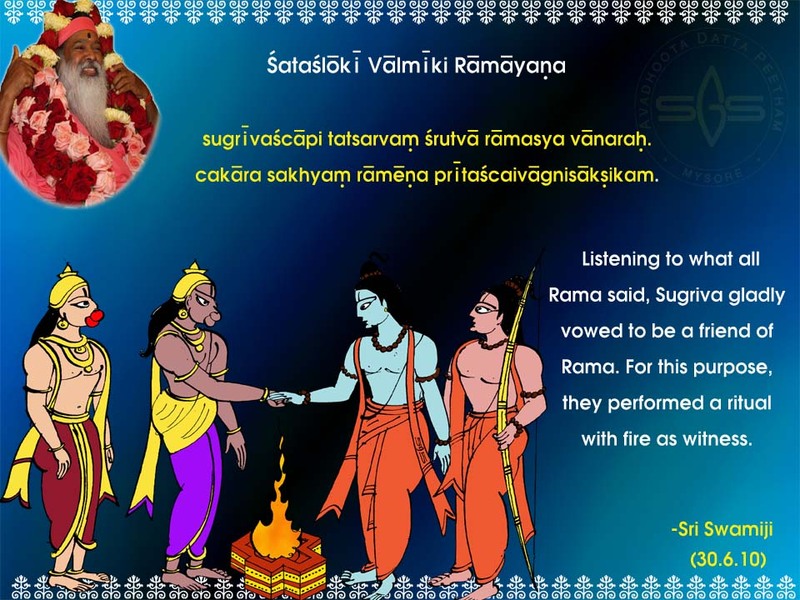 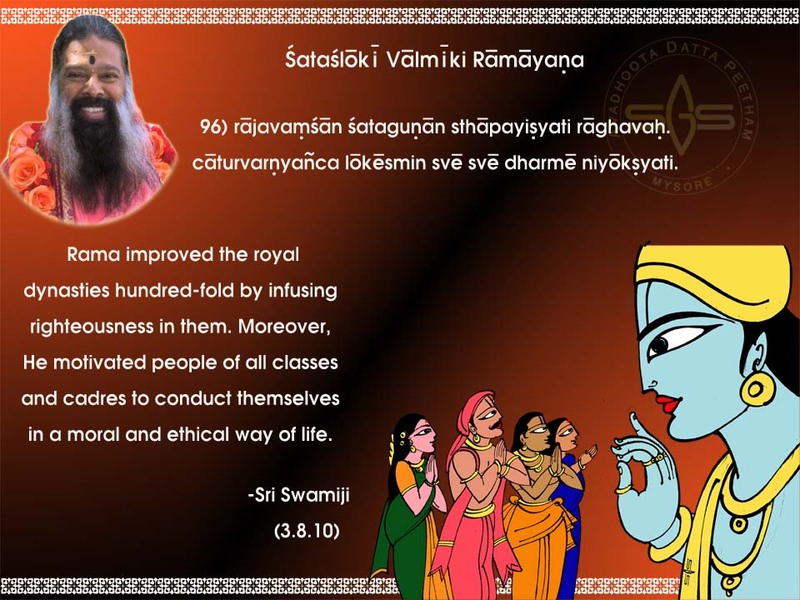 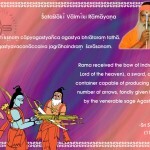 Appaji you gave this wonderful gift for adults as well as kids.We can’t live without playing Ramayana. 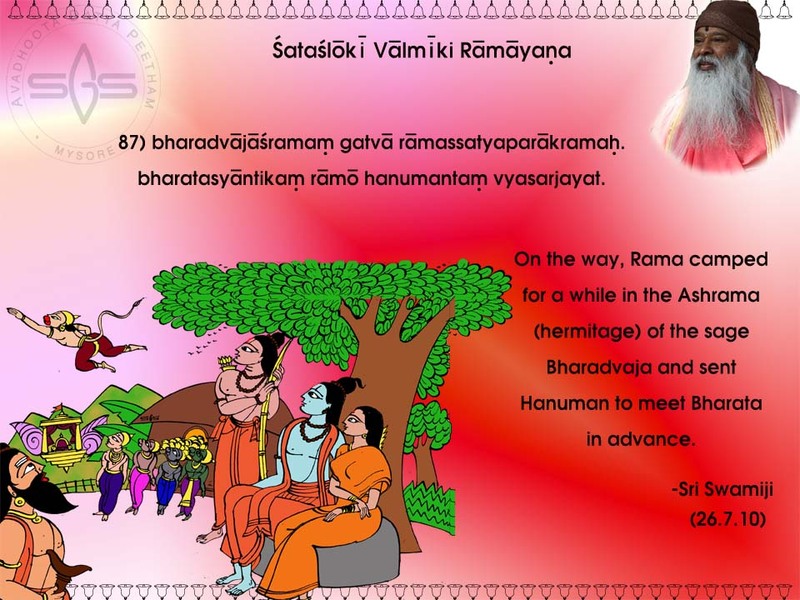 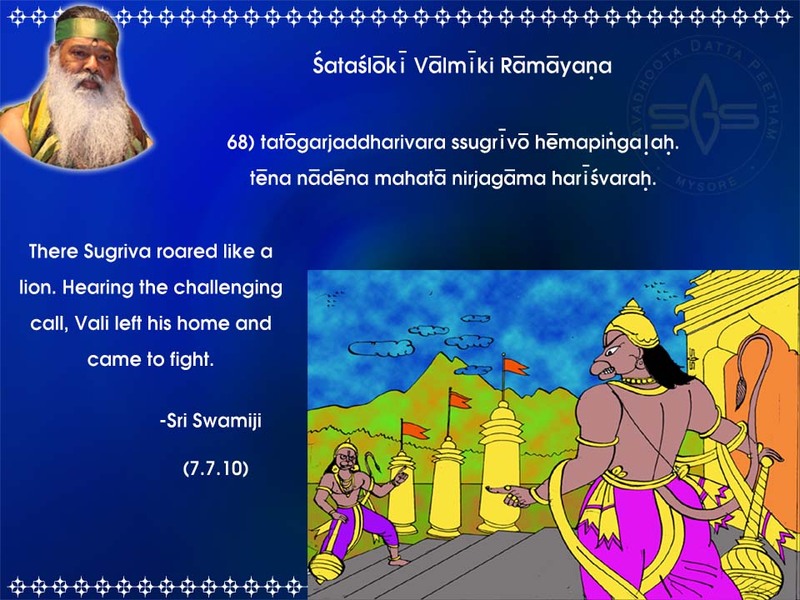 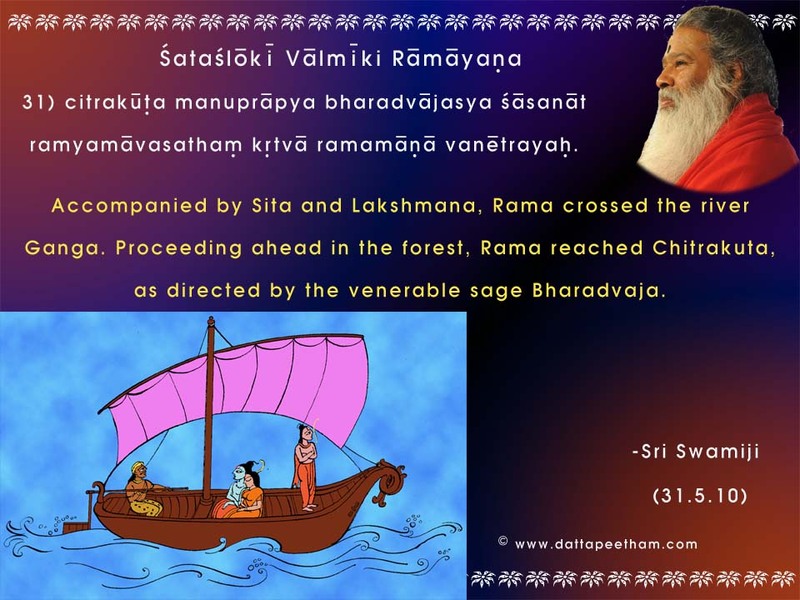 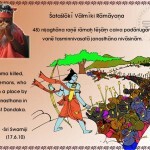 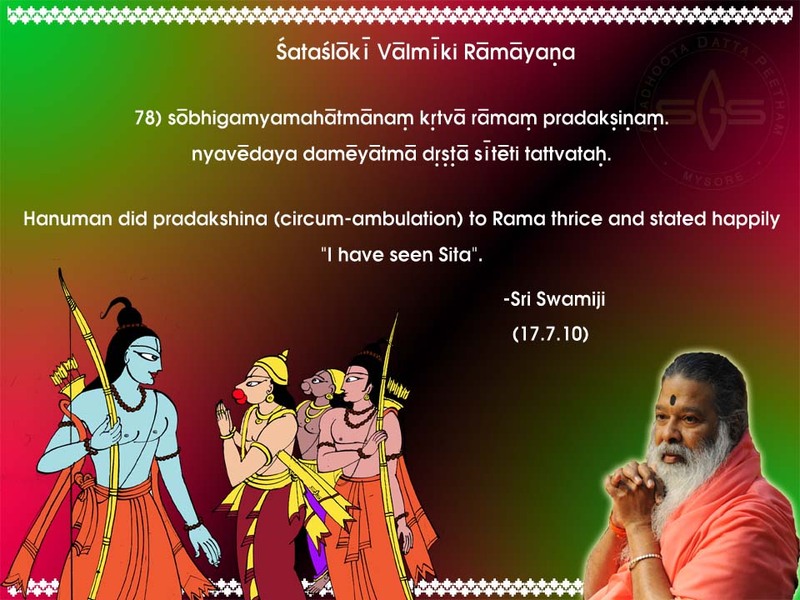 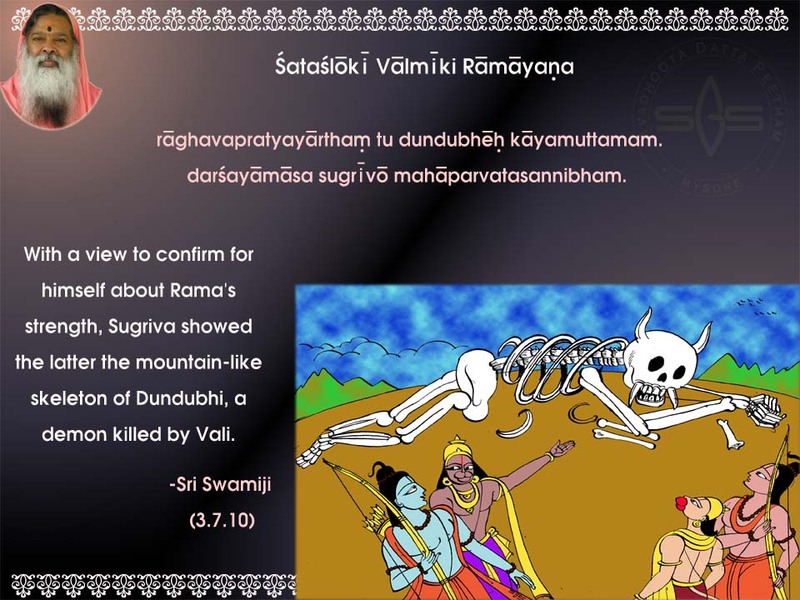 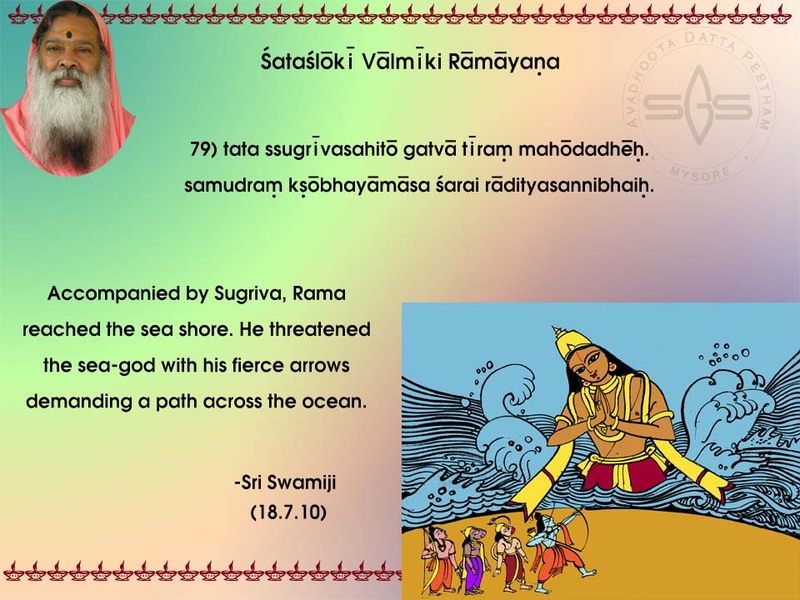 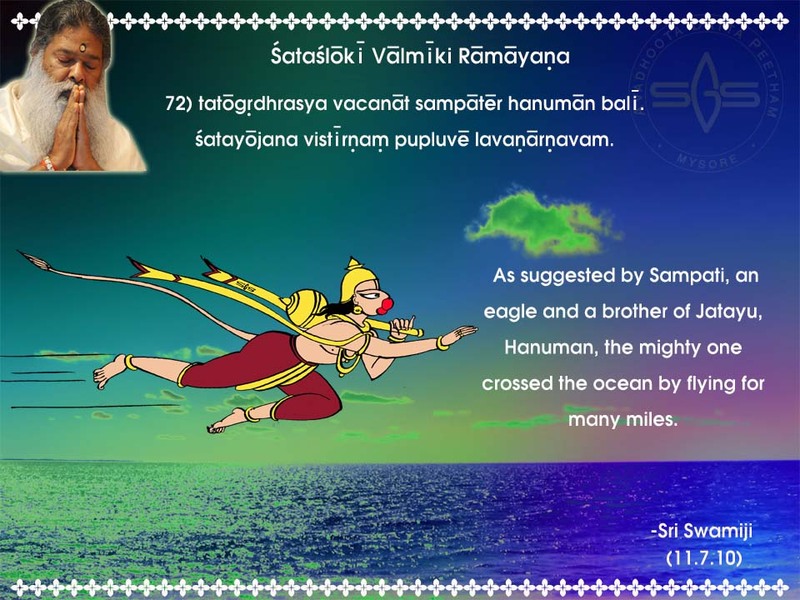 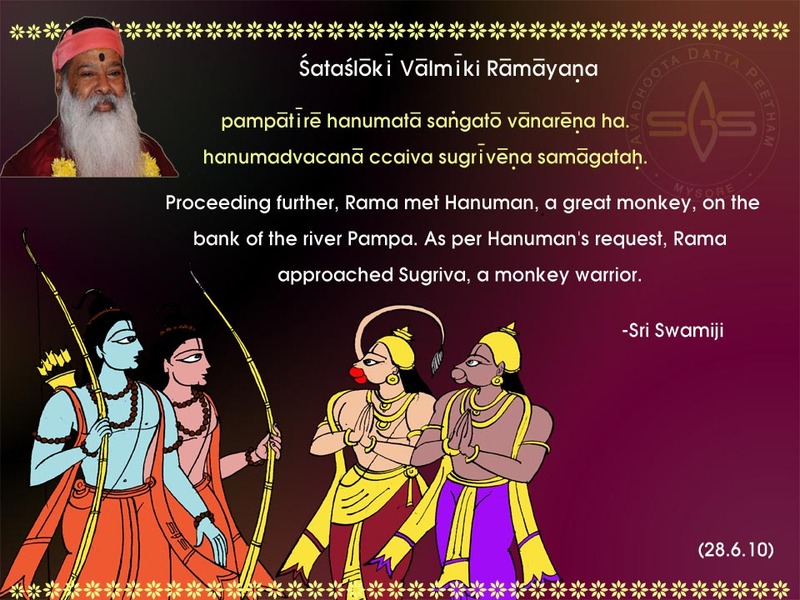 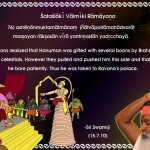 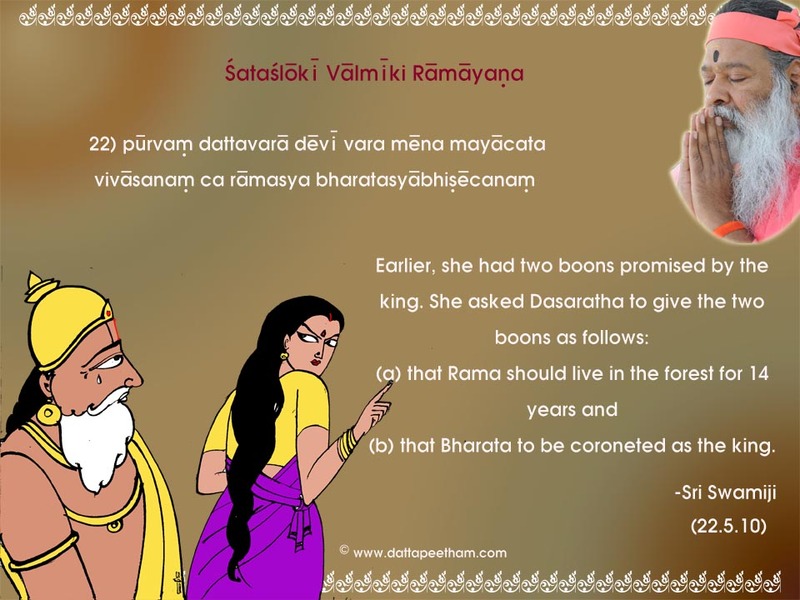 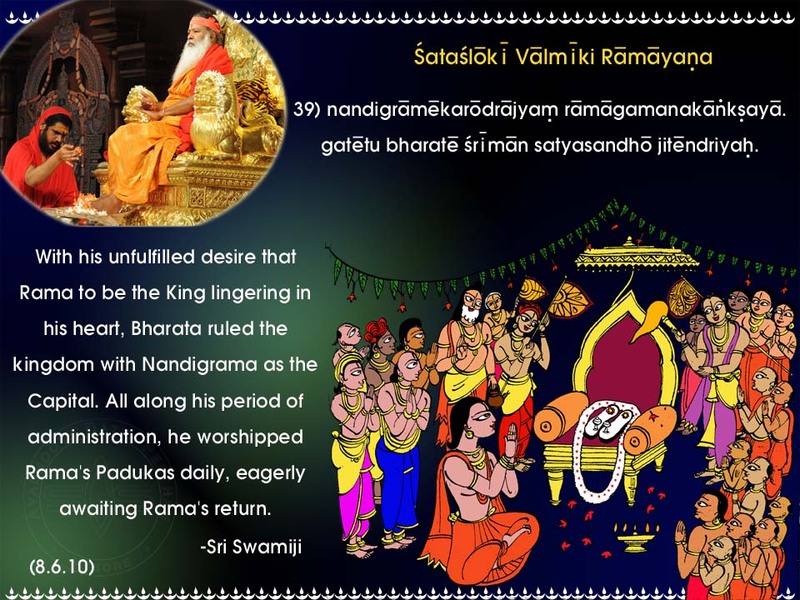 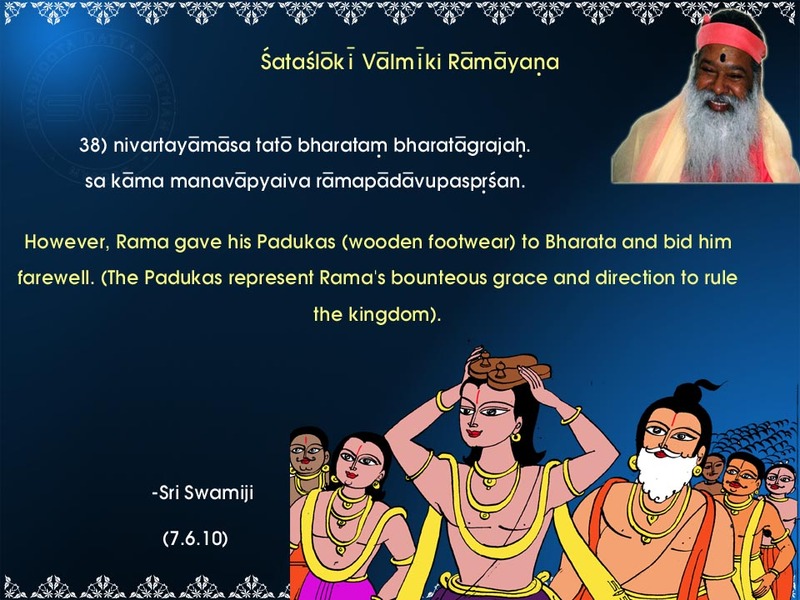 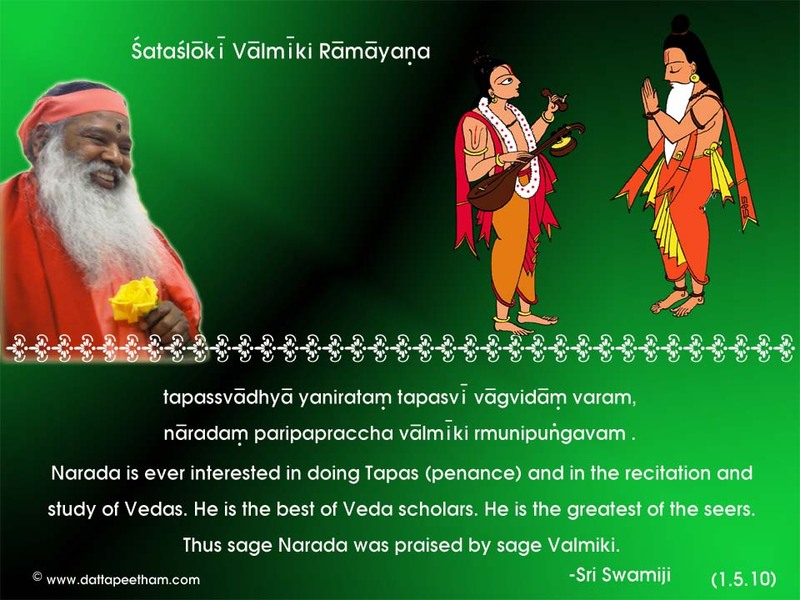 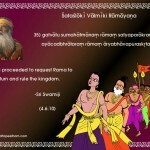 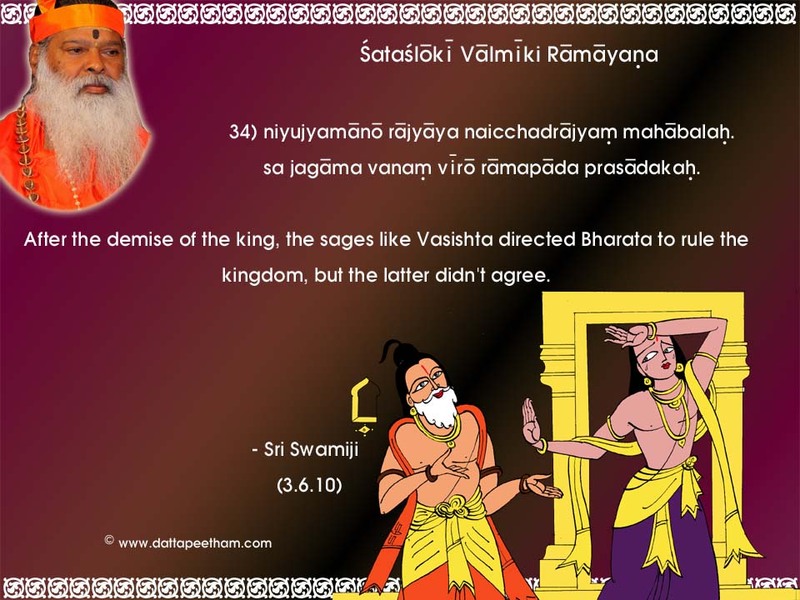 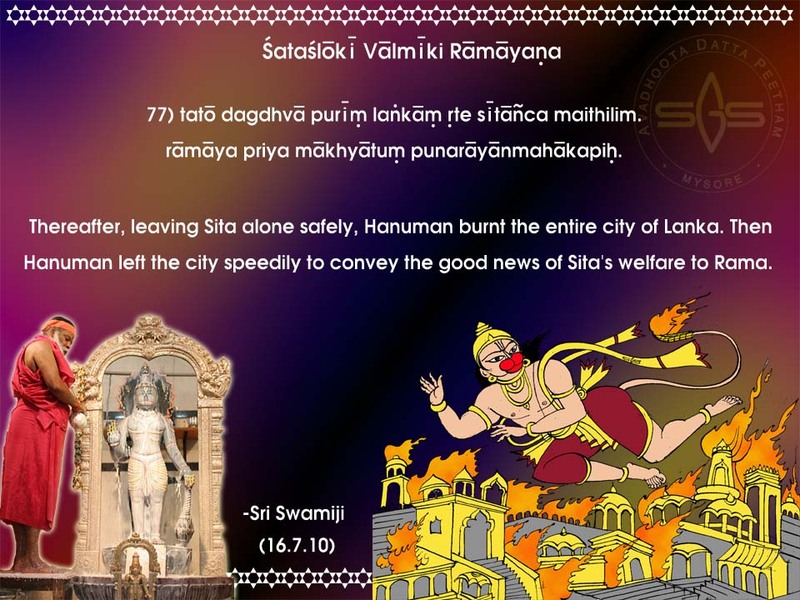 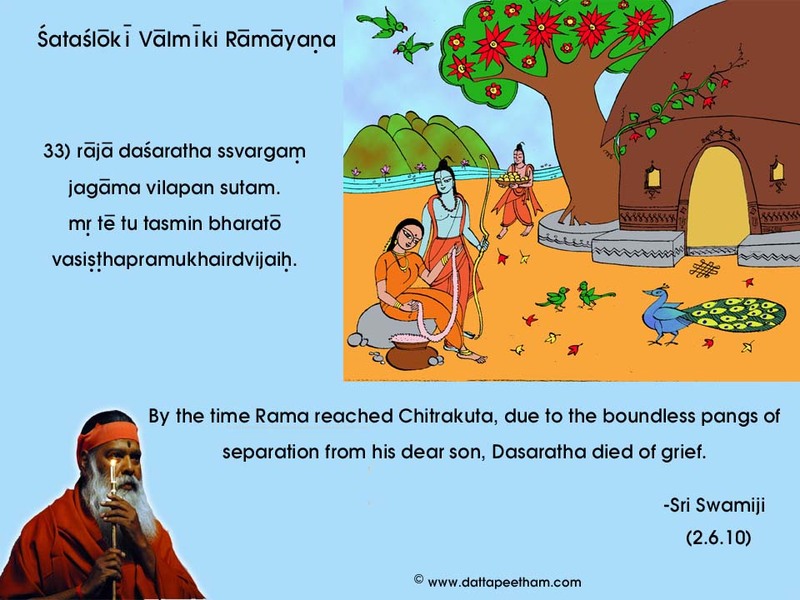 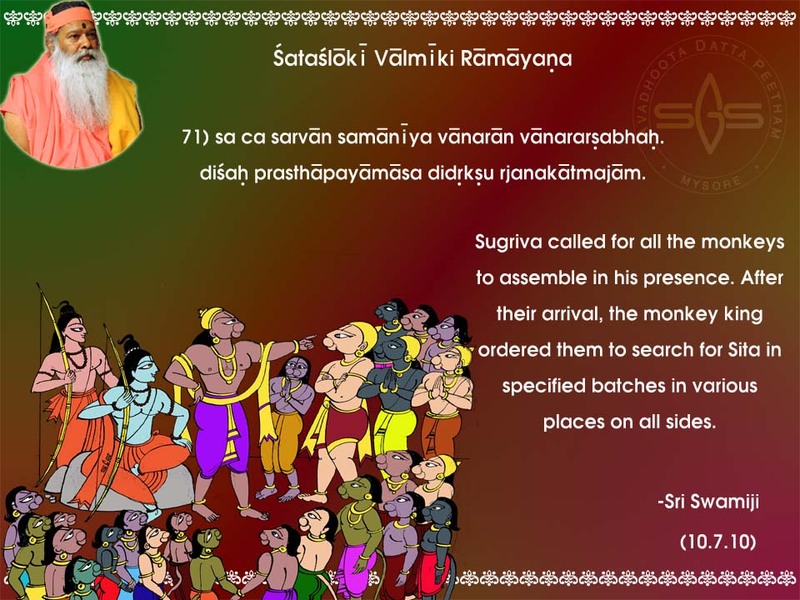 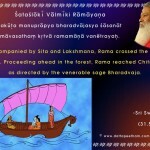 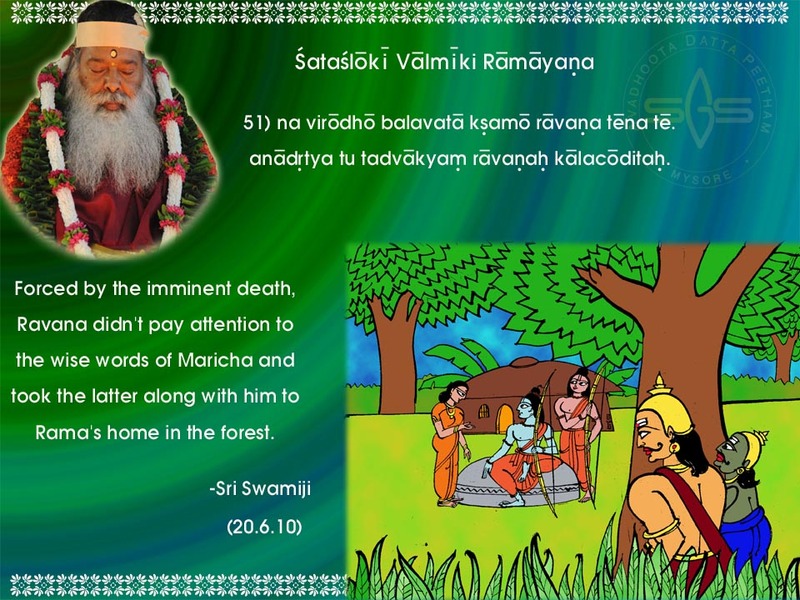 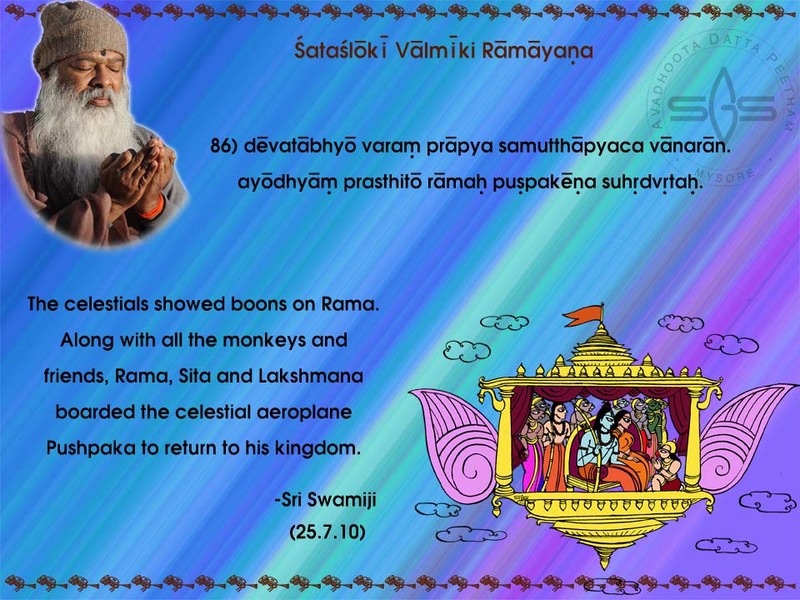 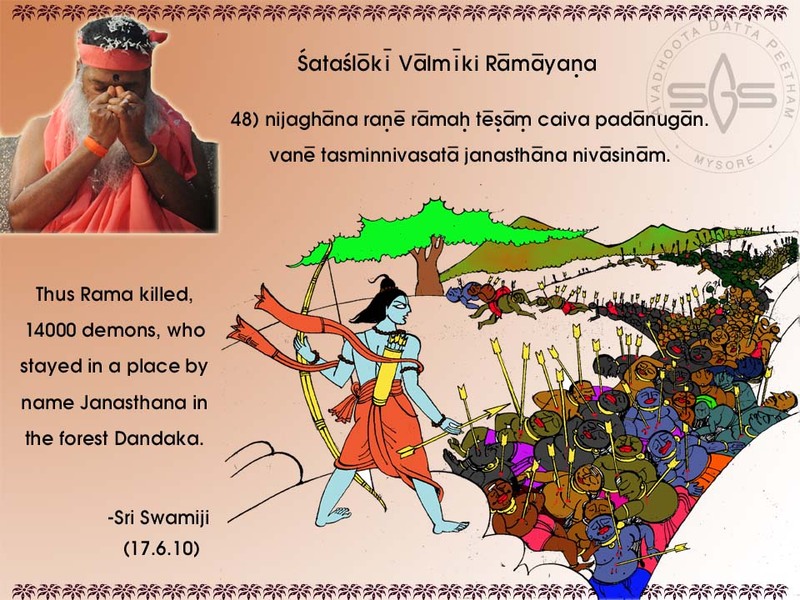 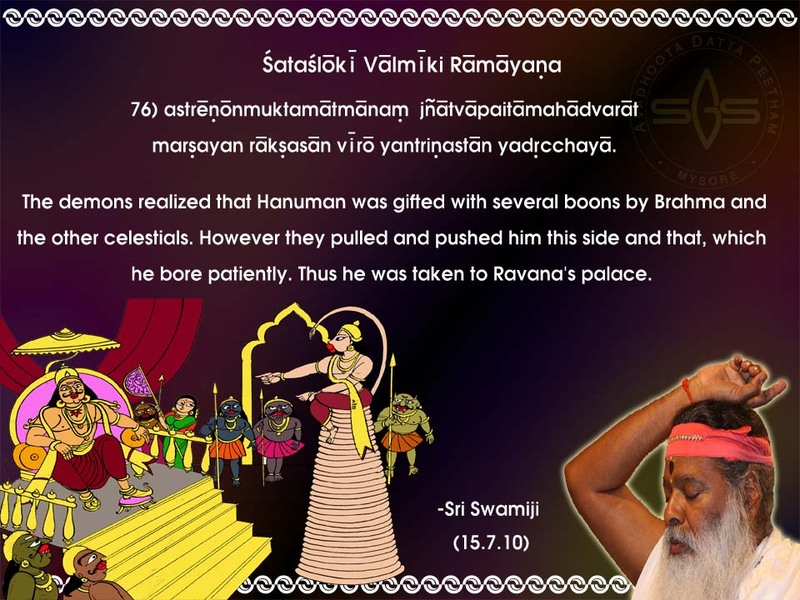 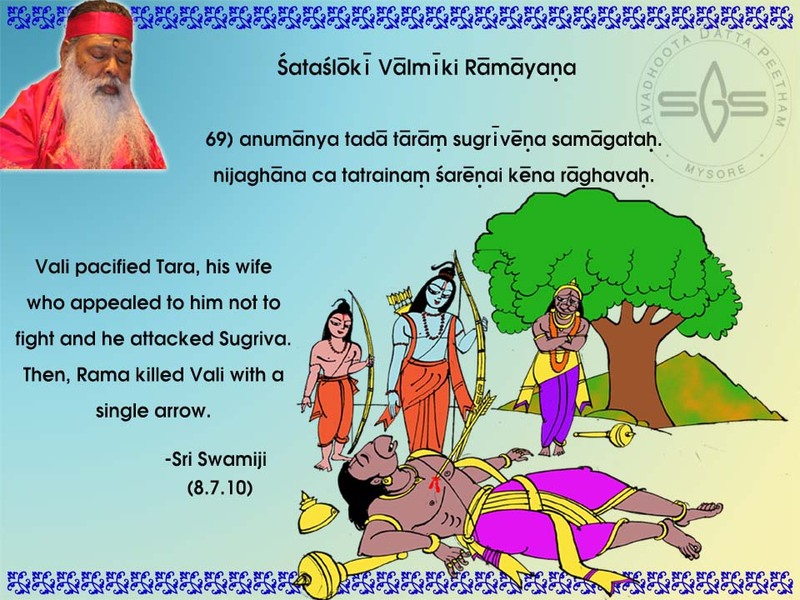 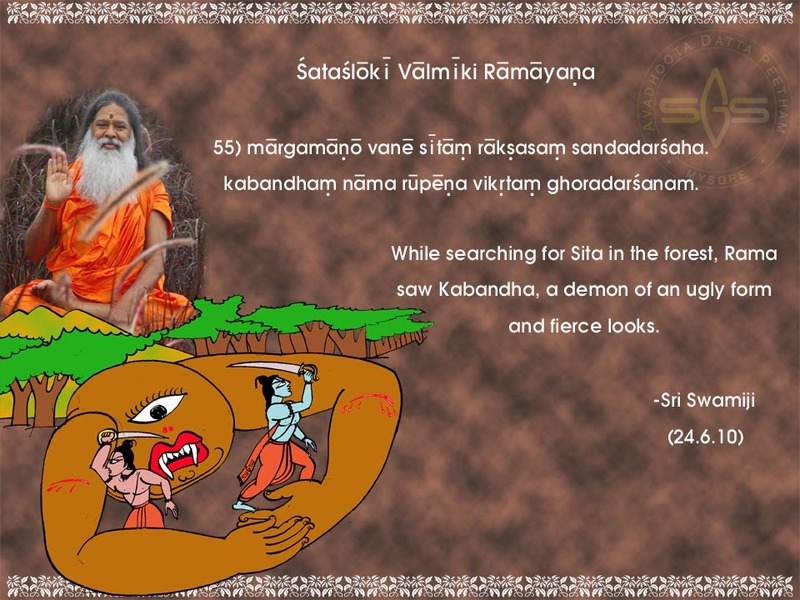 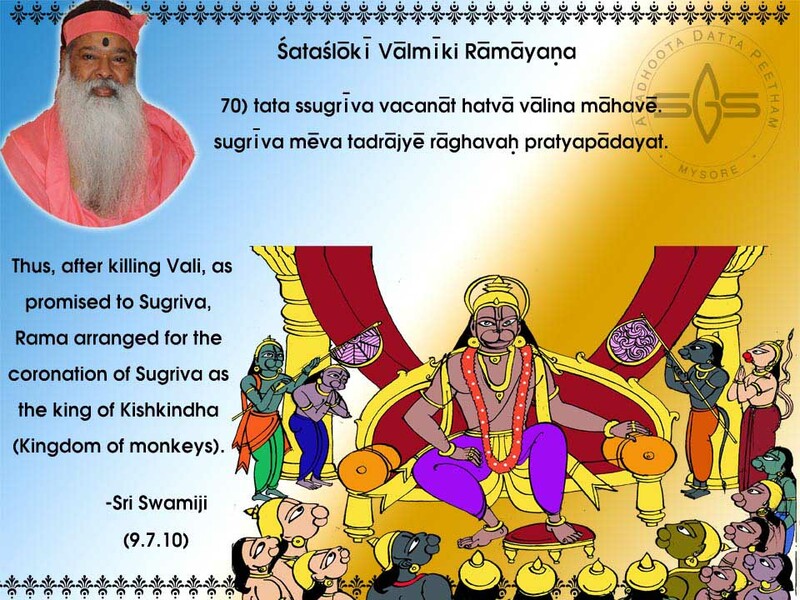 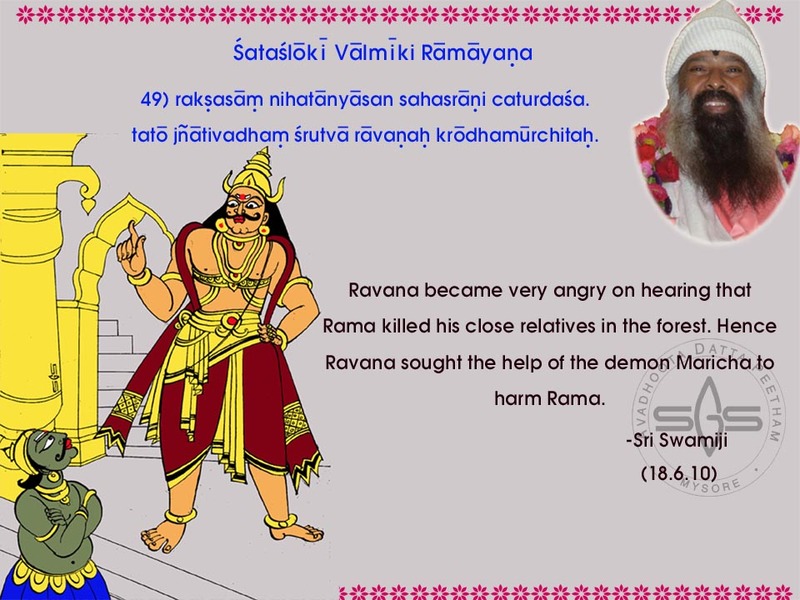 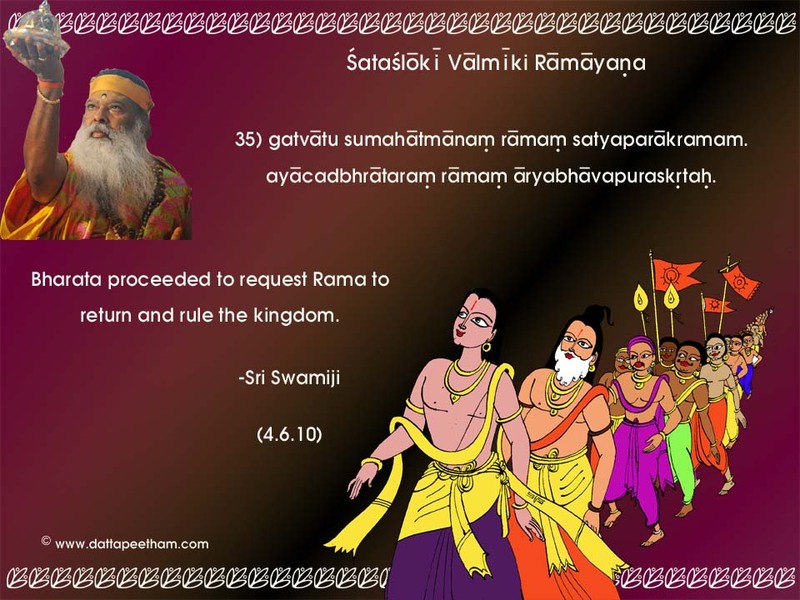 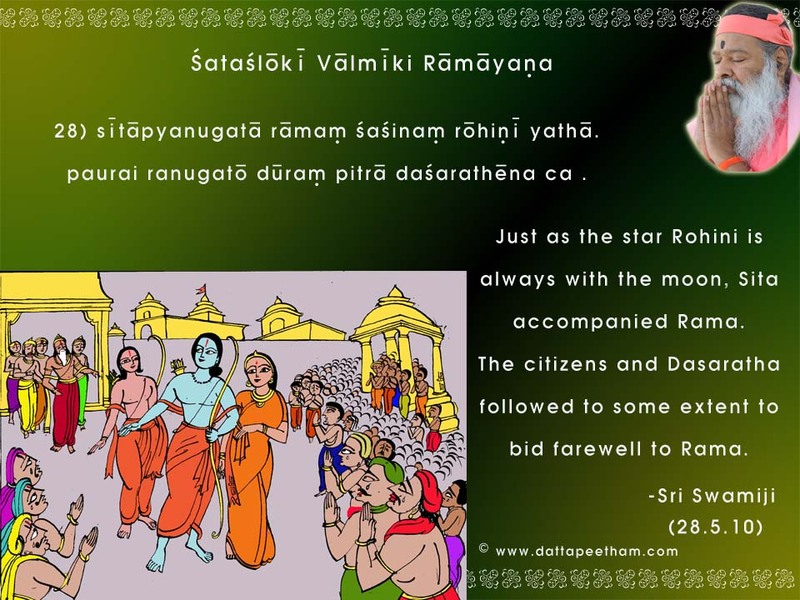 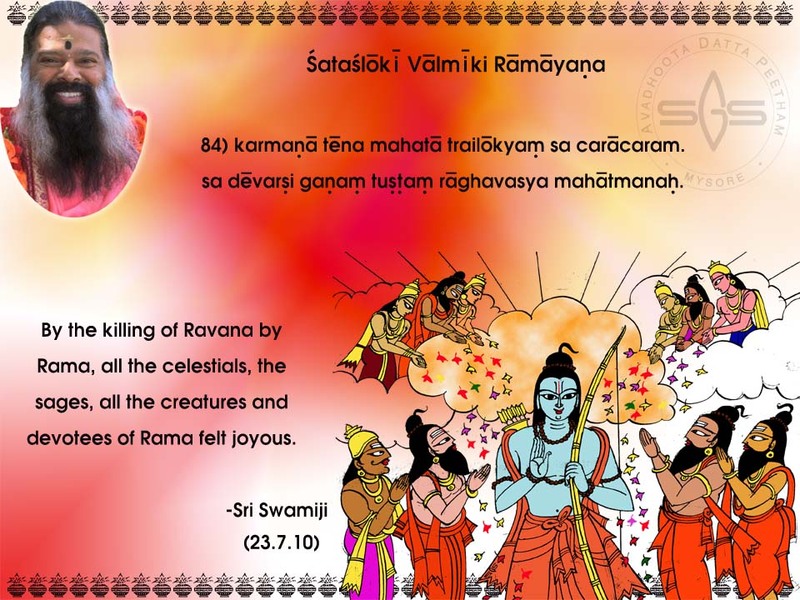 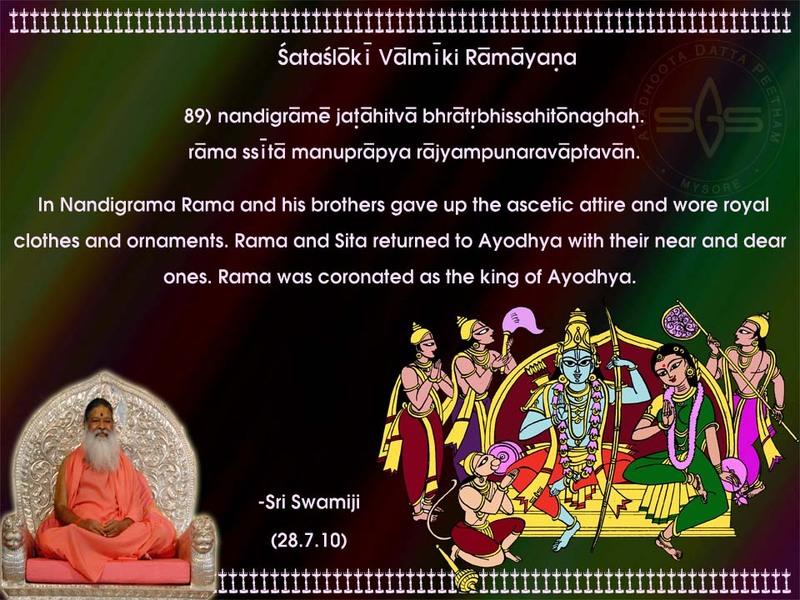 Shatashloki Ramayana phalam goes to Sadguru Pada padmas. 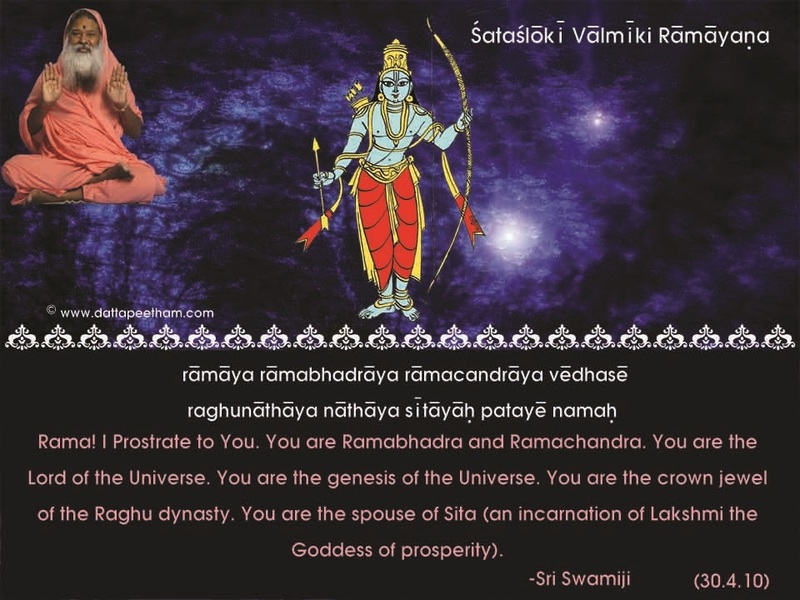 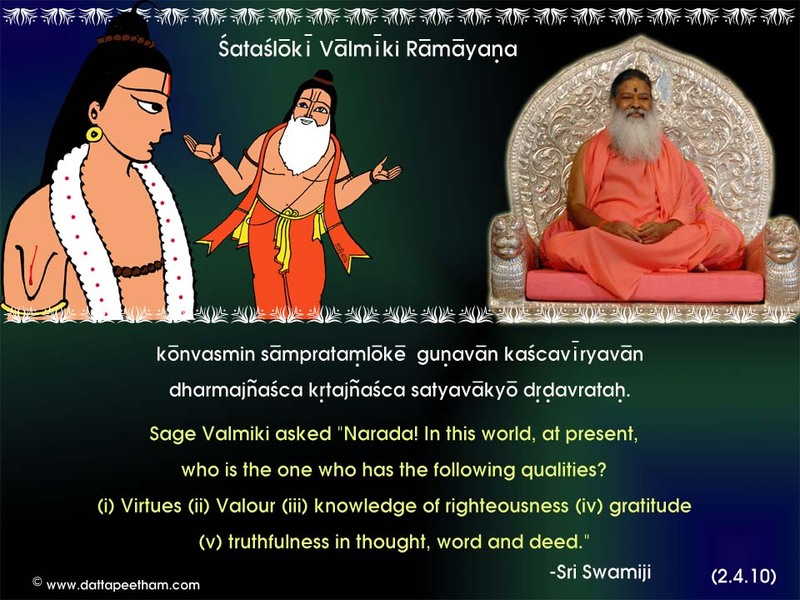 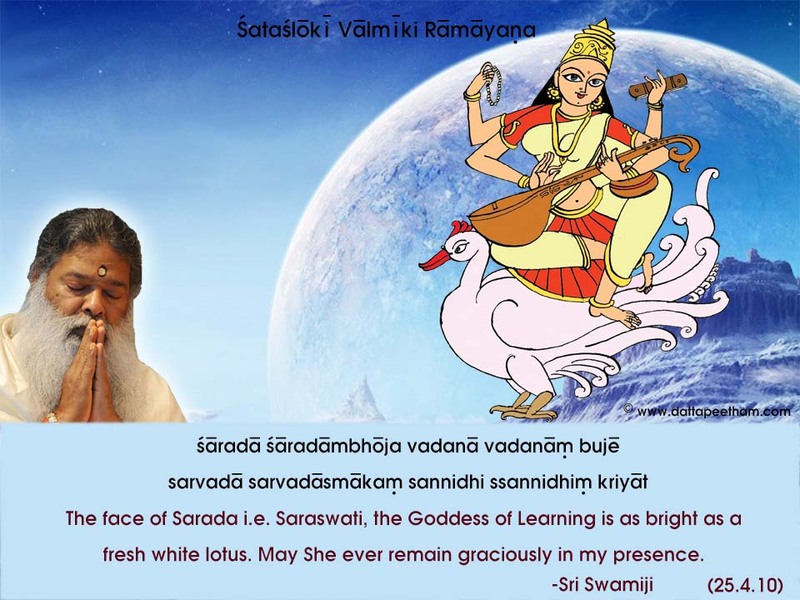 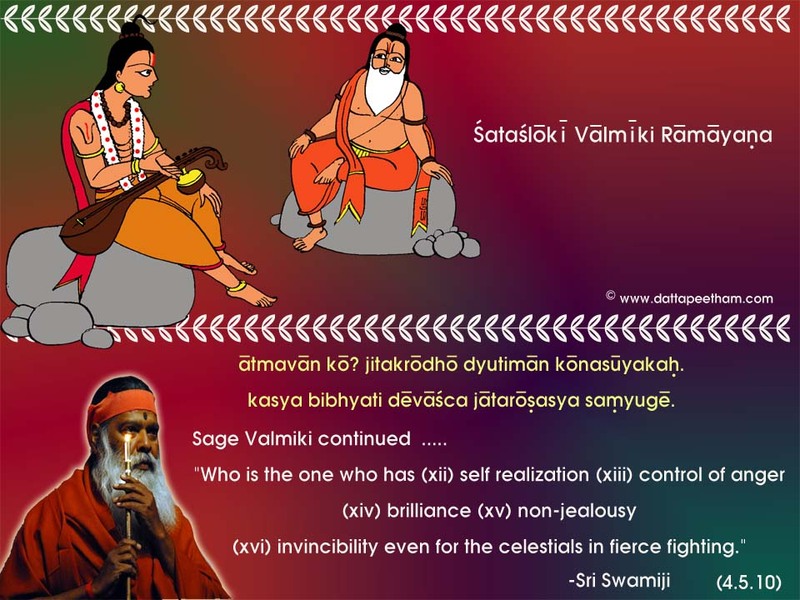 Jai Guru Datta! 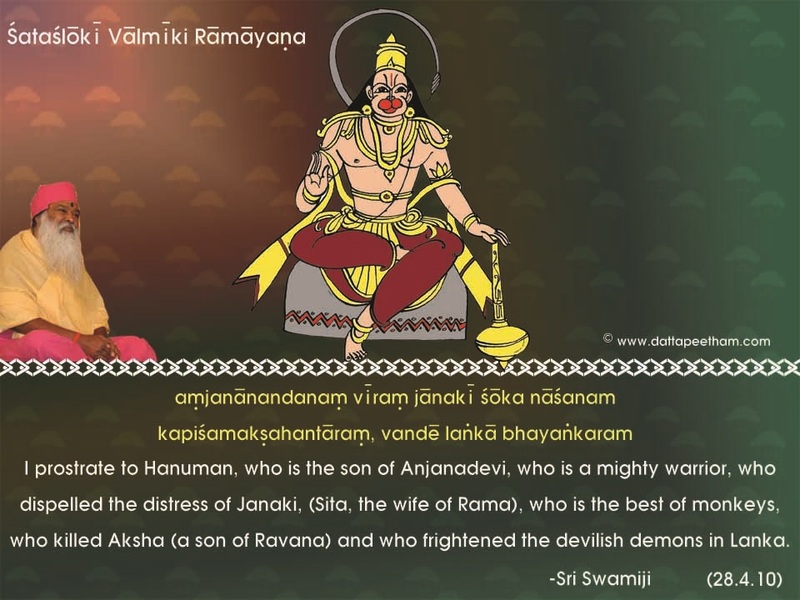 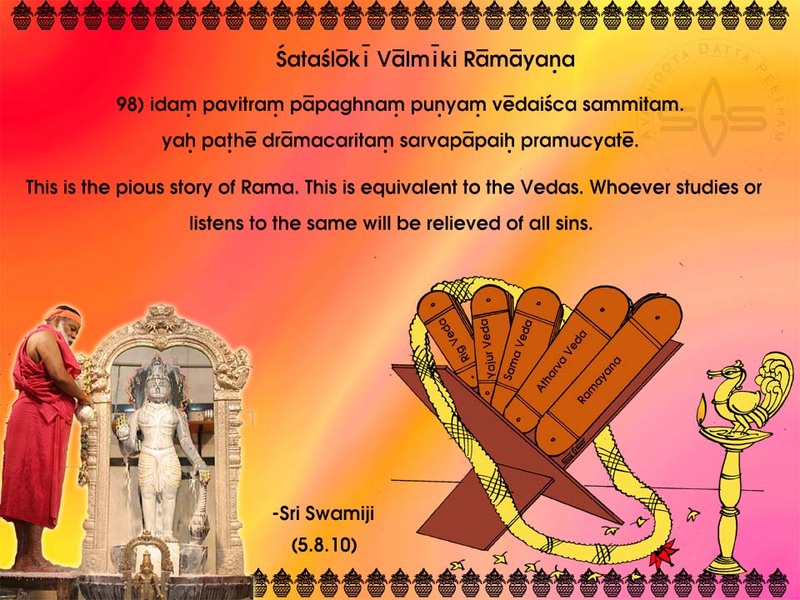 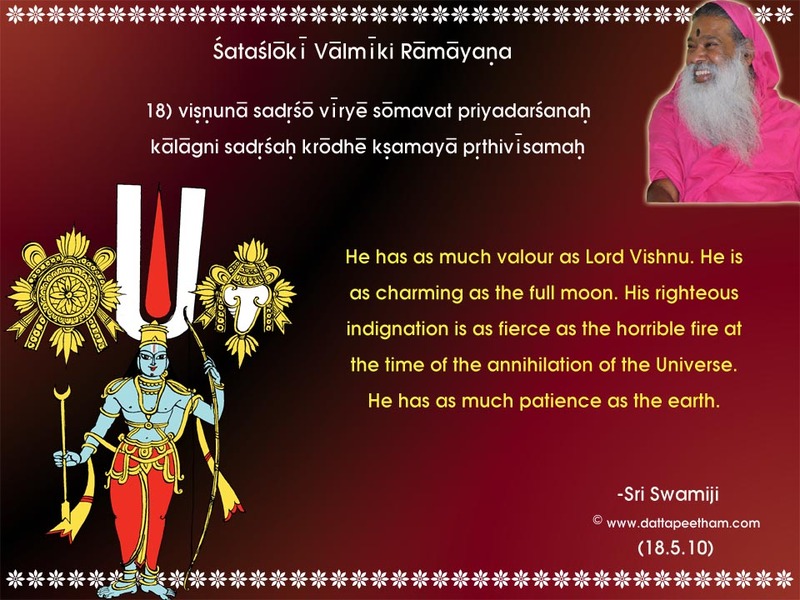 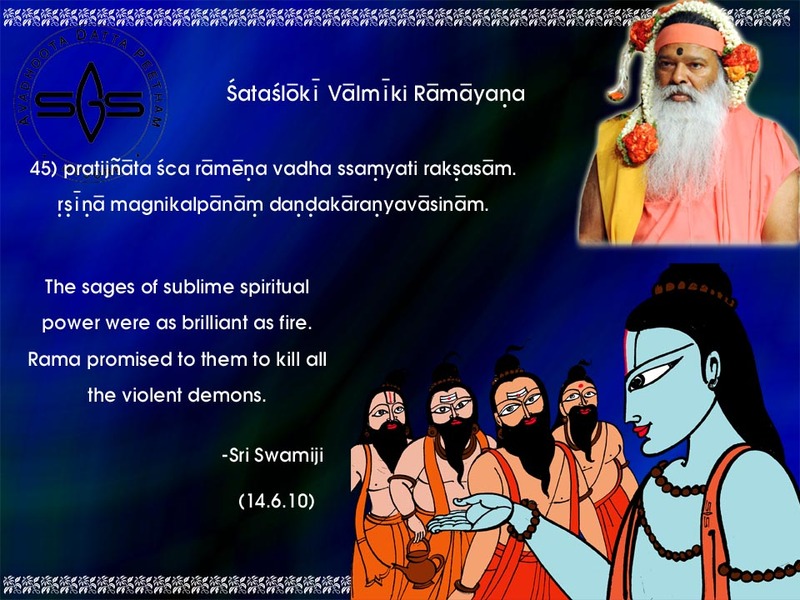 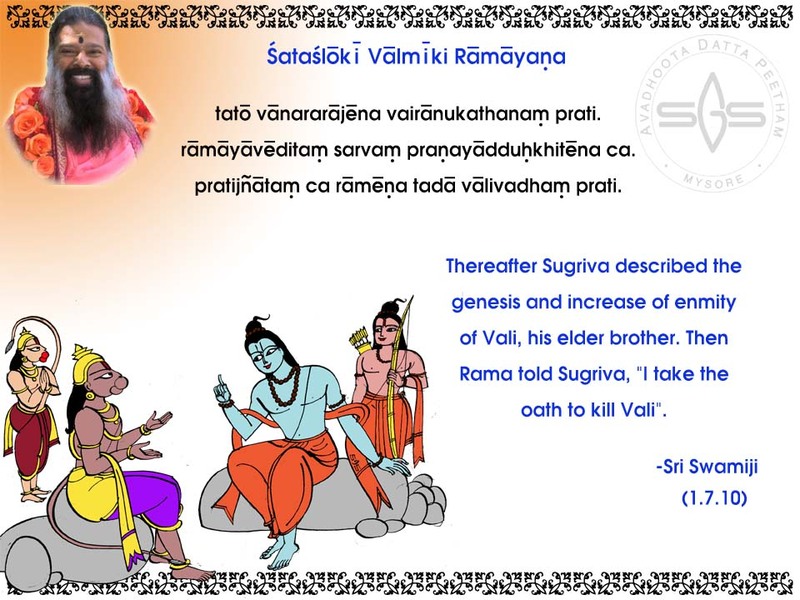 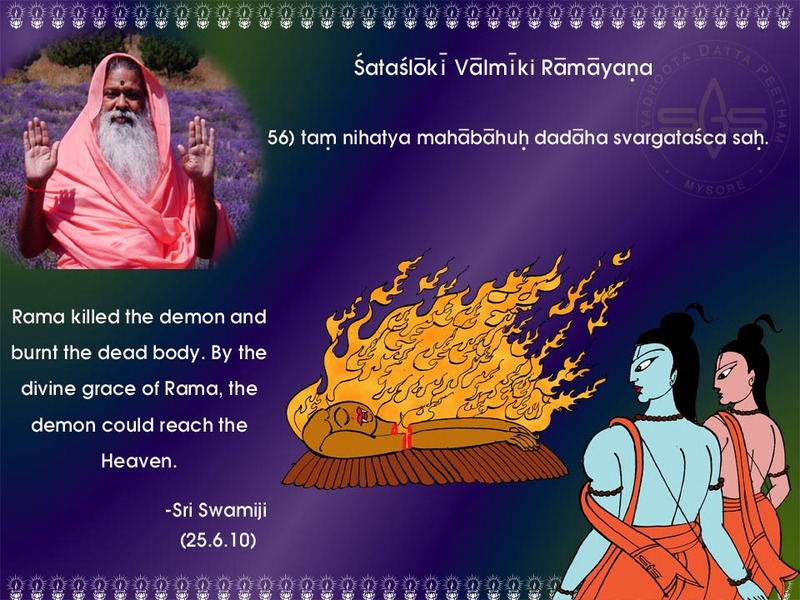 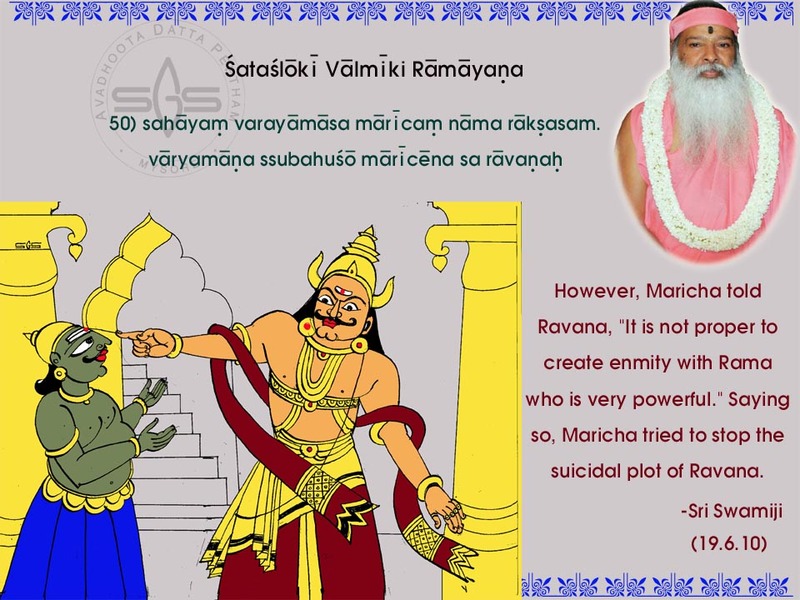 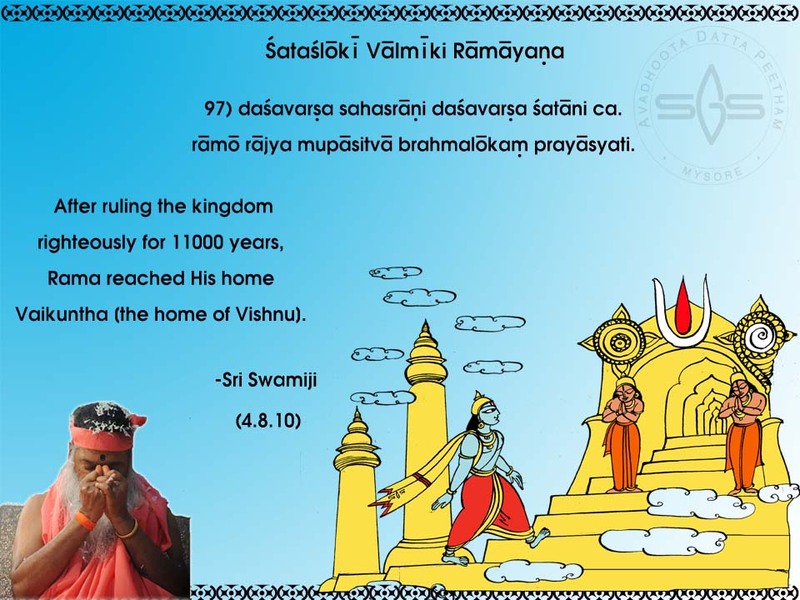 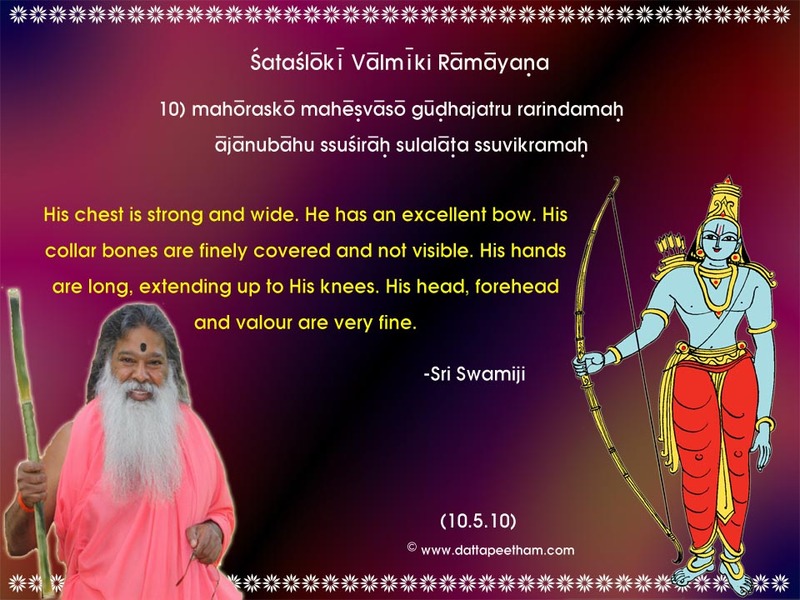 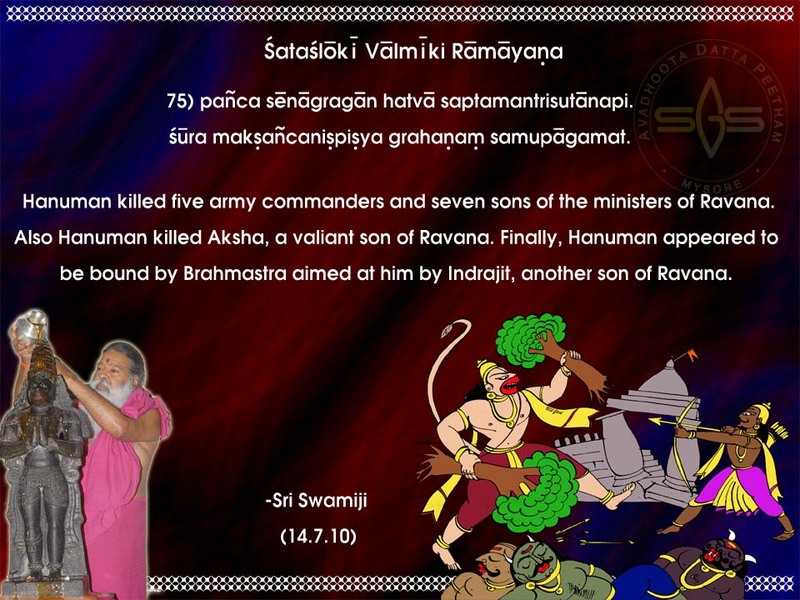 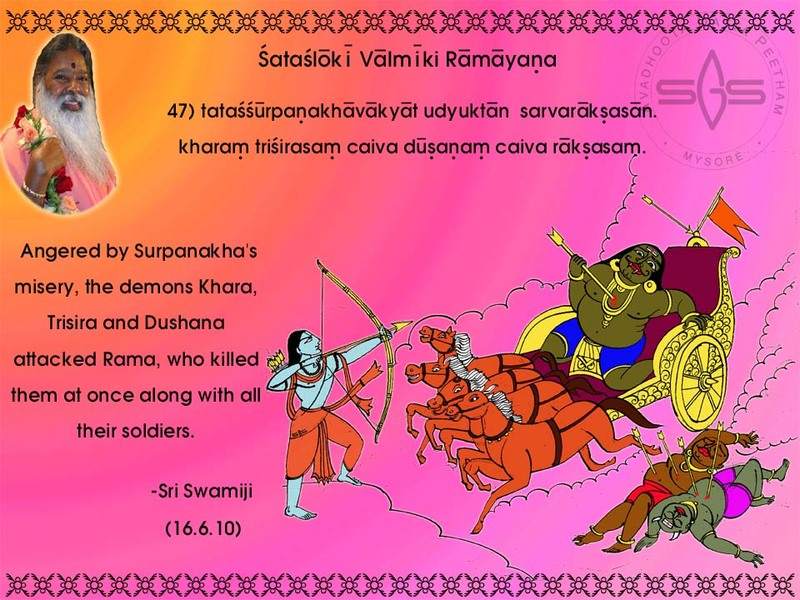 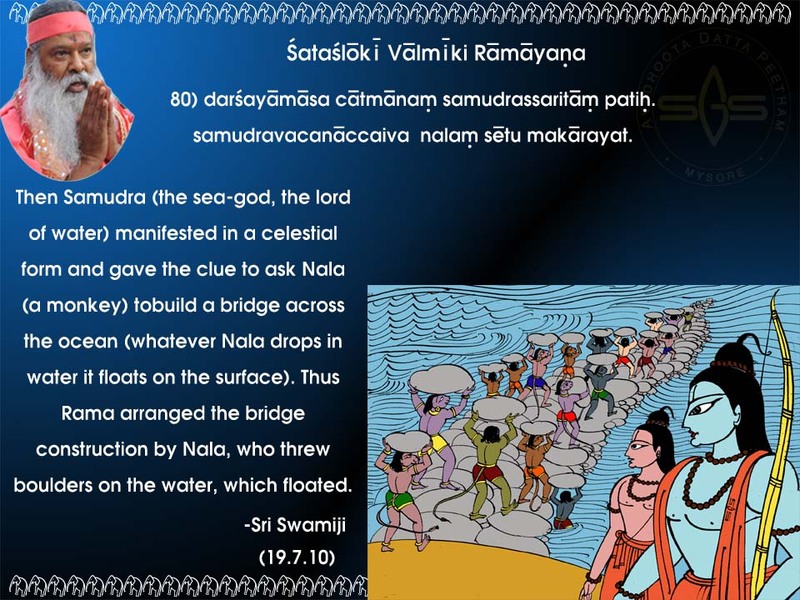 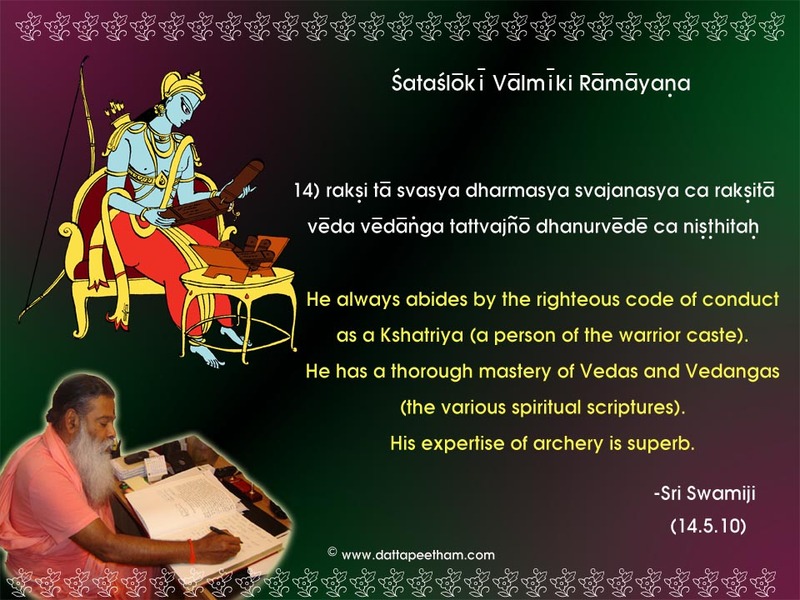 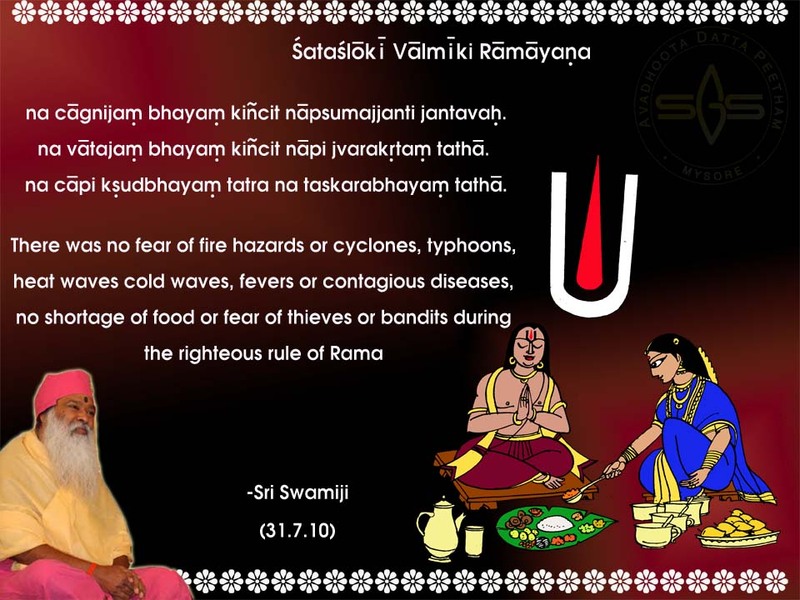 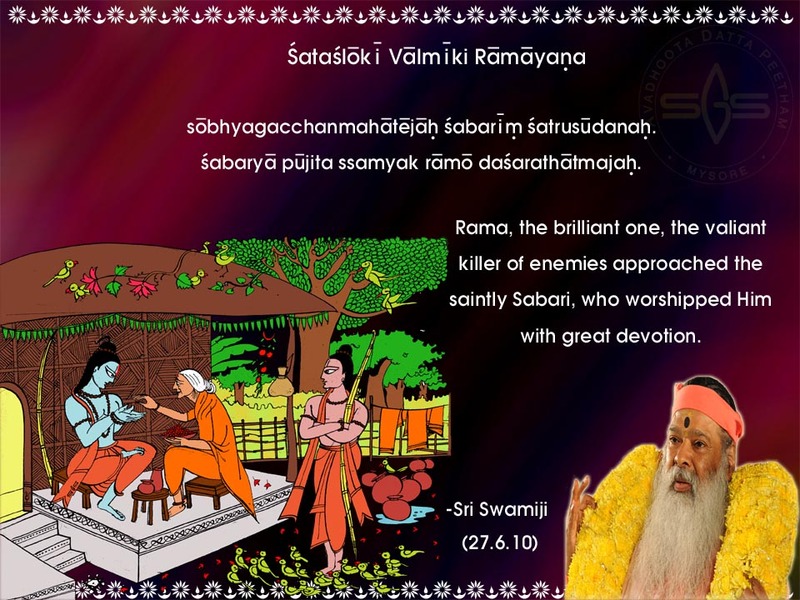 Appaji has been telling us that only our Lord RAMA able to solve all our worldly mysteries in this Kali Yuga! 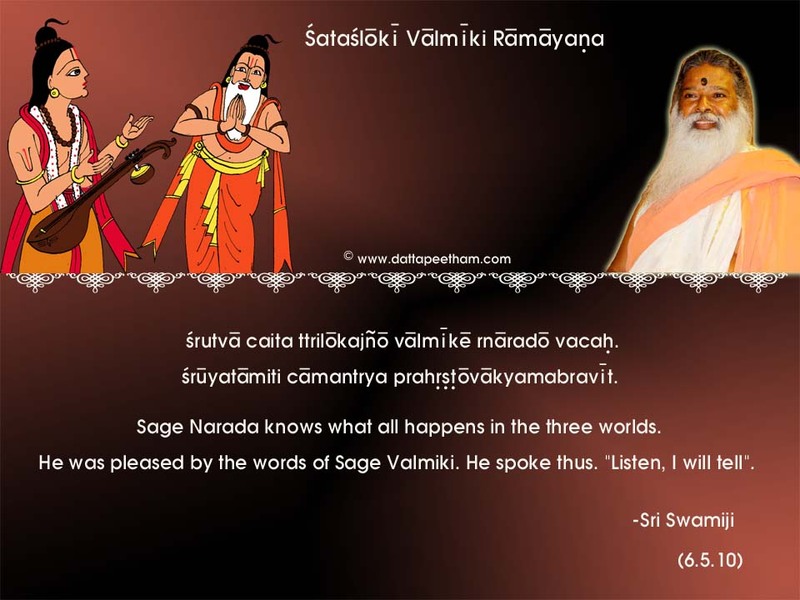 I have experience this so many time. 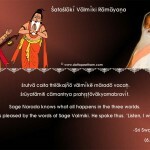 More crucially, recently it happens to me again! 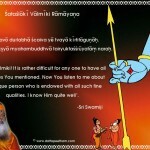 I was eagerly waiting for Appaji’s blessings for my future plan as my whole family waiting for His Holiness decision. 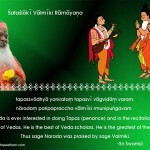 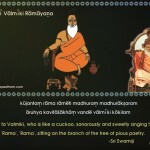 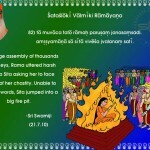 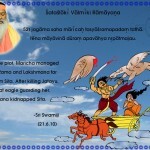 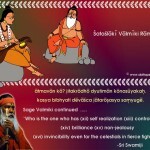 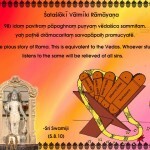 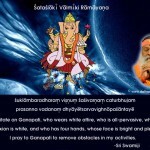 I send mail mail to Appaji & Pujya Bala Swamiji on 31/8/2012 and has been waiting for their blessings! 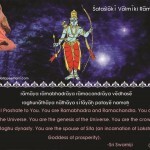 After 1 week i still not fortunate to get their blessings. 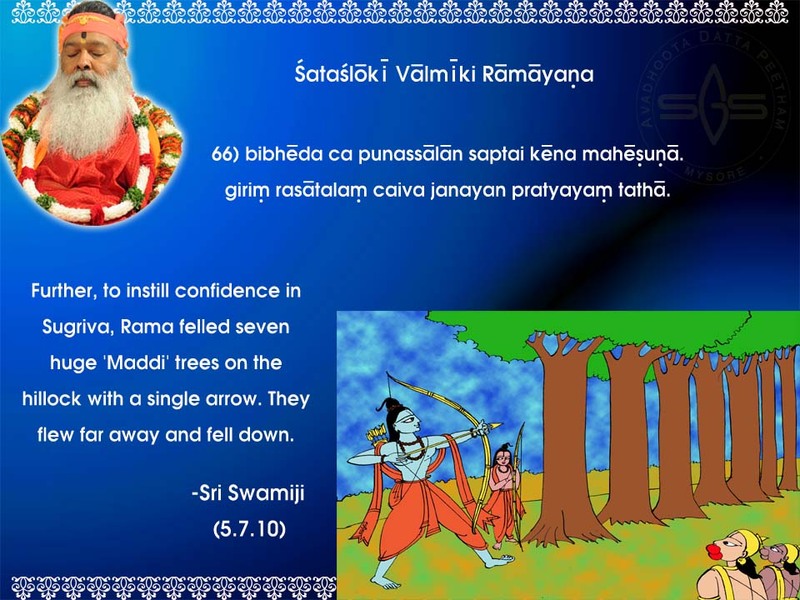 But I never lost my faith on them! 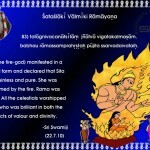 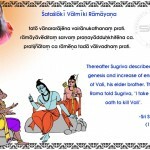 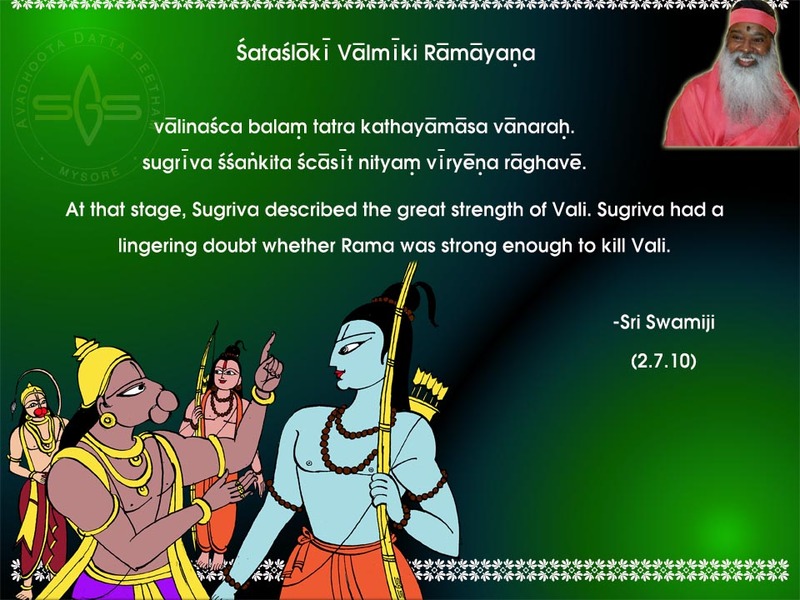 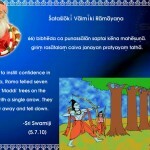 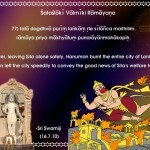 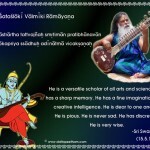 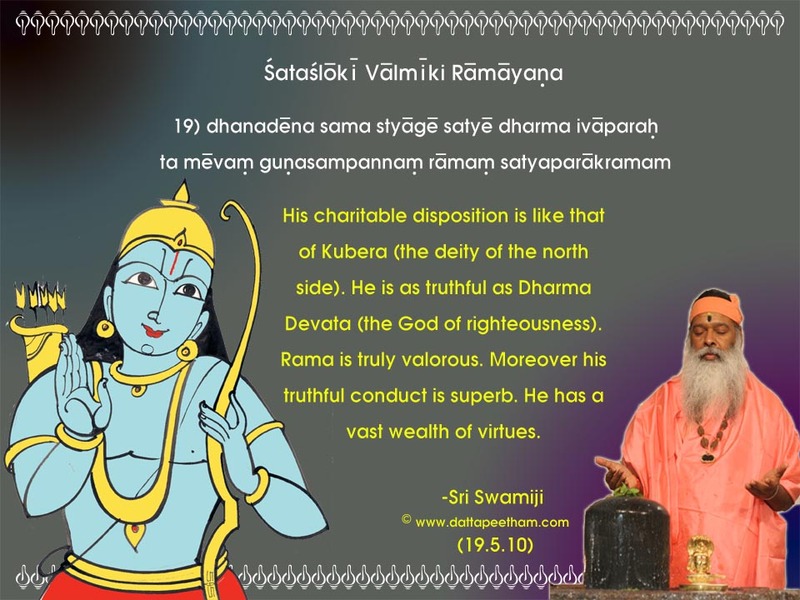 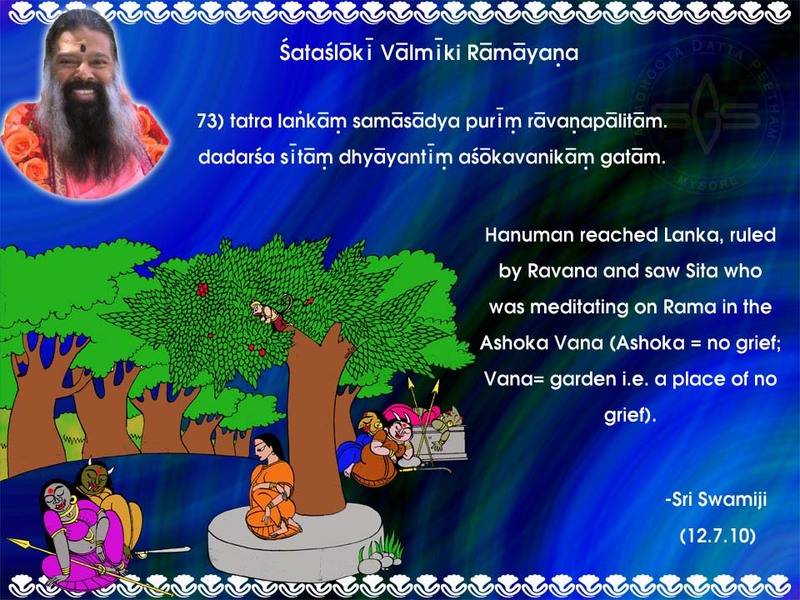 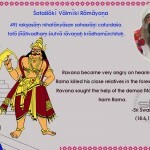 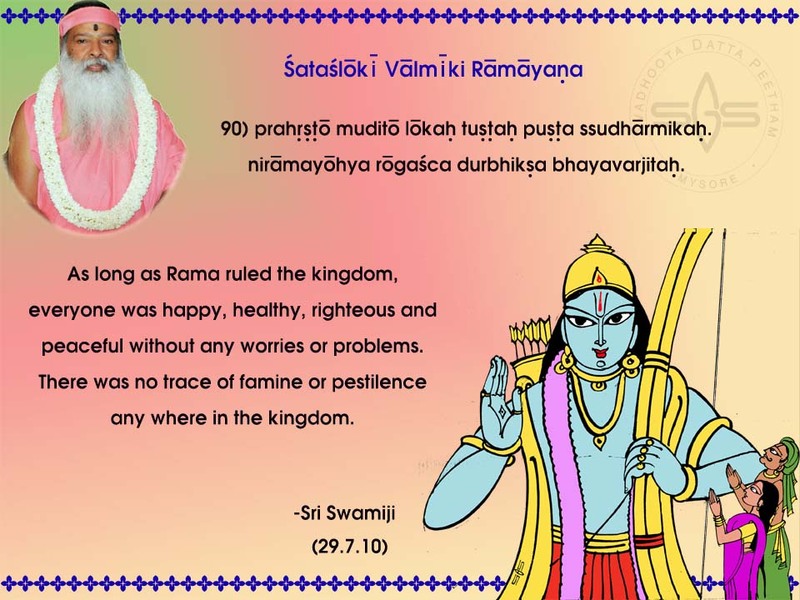 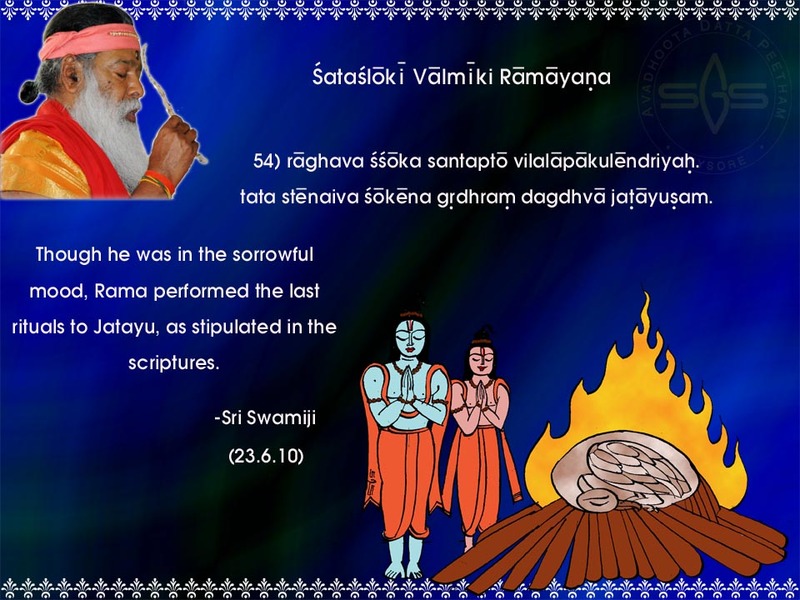 On 12/9/2012 I was listening to Shatashloki Ramayana repeatedly so that I will stop worrying about it! 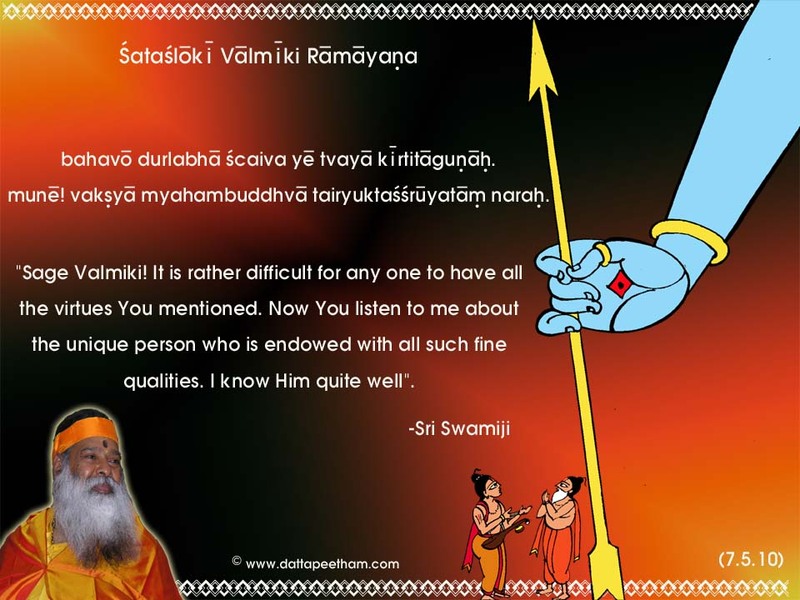 Guess what… Appaji not only gave me the strength to go thru what i was going thru at that moment…I finally receive Pujya Bala Swamiji’s & Appaji’s blessings in affirmative! 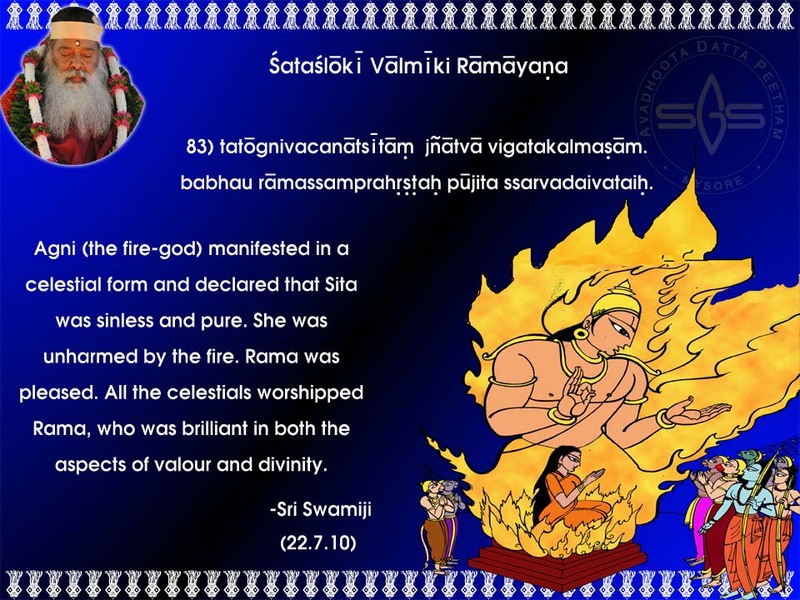 There and then I realize the power of Shatashloki Ramayana! 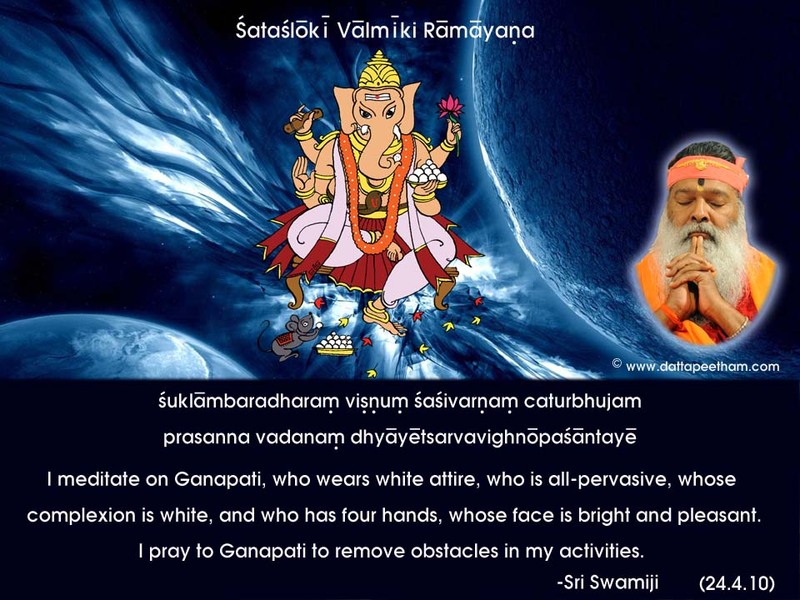 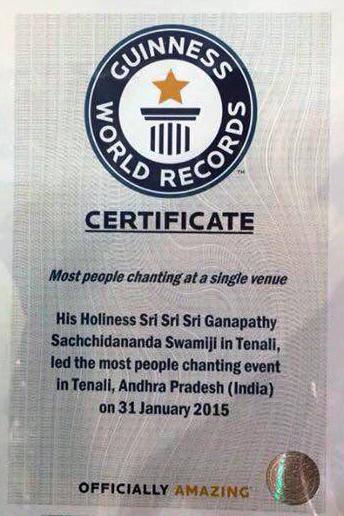 Thanks a lot Appaji for bless us with such powerful solution! 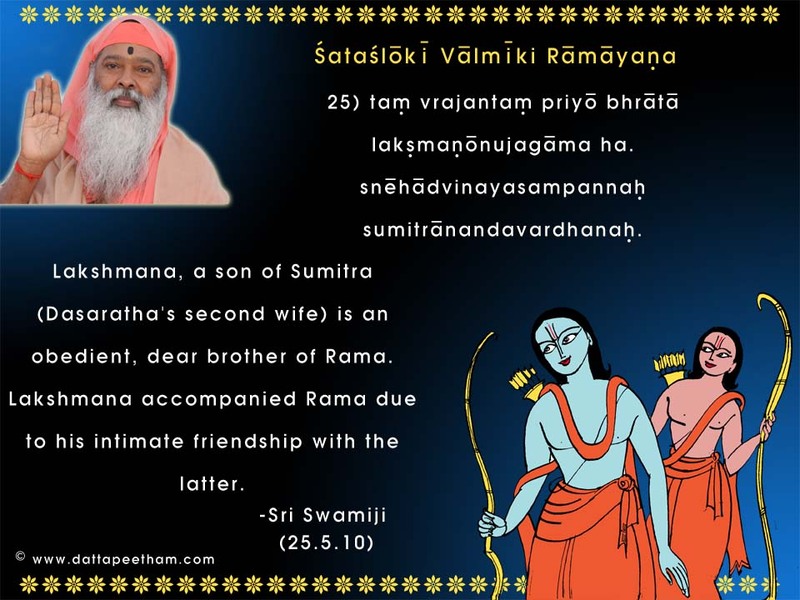 JAI SRI RAM!